Take Your Loved One on the Most Romantic Vacation to Costa Rica. 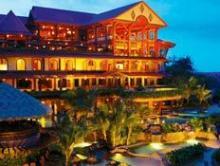 Experience some of the most intimate and luxurious resorts in Costa Rica on this custom vacation. 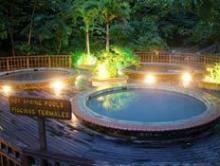 Begin by relaxing in the vicinity of the stunning Poas Volcano at the award winning Peace Lodge. Explore the stunning grounds in a tour or on your own. 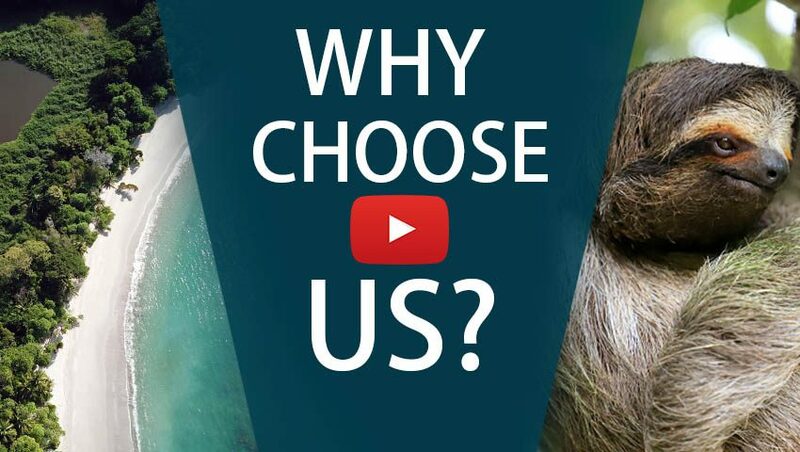 Visit the famous waterfall, the wildlife preserve, and much more! Later travel to Arenal where you will stay in one of the most impressive five-star resorts in the Americas, The Springs. Enjoy unlimited access to their on-site hot springs and get up close with the animals in the wildlife preserve. To indulge your taste buds, sample the various bars and restaurants located on-site. Don’t forget to use your spa credit to get a massage or treatment. Finish your romantic vacation by going to Guanacaste and indulging yourself at a lavish beachfront resort. Enjoy the modern elegance of Andaz while you celebrate romance. Experience a bit of everything on a tour in Rincon de la Vieja National Park! Fly into San José where one of our representatives will meet you and show you to your private transfer. From there, travel to the Poas Volcano area where you will stay at The Peace Lodge. Enjoy the stunning waterfalls and gardens of The Peace Lodge. Relax by the pool, have a romantic dinner at the restaurant, or take a dip in your hot tub. A private transfer will take you to La Fortuna where you will stay at the stunning The Springs Resort & Spa. 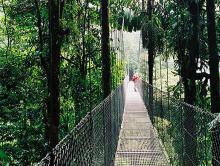 See wonders of the tropical rainforest up close when you go on the exciting Hanging Bridges Tour. You will be guided by a naturalist who will open the doors to a fascinating and colorful tropical rainforest world. Enjoy your stay at The Springs Resort. Relax in one of their many warm pools and lounge by the swim-up bar. Don´t forget to try one of the rejuvenating beauty treatments at the Spa! 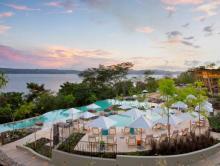 Take a private transfer to Guanacaste, the Costa Rican Gold Coast, where you will stay at the wonderful Andaz Peninsula Papagayo Resort. Enjoy your stay at the Andaz! Take advantage of the hotel´s equipment to test your skills at stand-up paddleboarding or kayaking down at the beach. Head to the Rincon de la Vieja National Park for a fun, yet relaxing day at Borinquen. Go horseback riding and zip lining. Then soak in a mud bath and thermal waters to finish off the day. Fly back to San José, where you will catch your international flight back home. Located less than an hour from the San José airport, the Peace Lodge is a cozy, boutique hotel with numerous on-site activities, the perfect place to begin or end your vacation. 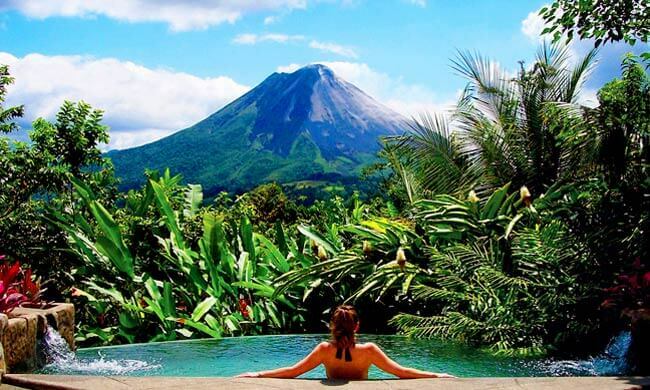 The best luxury hotel in Costa Rica offers all the amenities you need: hot springs, views of the Arenal Volcano, tours, and on-site activities. 7-night combo trip, perfect for a family vacation. Five adventure & nature tours are included in pricing.